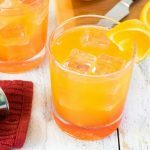 If you are looking for a low-calorie alternative to the traditional Tequila Sunrise, check out this Sparkling Sunrise cocktail! OK guys and gals, it is time to get fizzical! No, I don’t mean with exercise, I’m talking about low calories carbonated cocktails! Though you will likely be doing plenty of one-armed curls with these, and that is close enough to exercise for me! 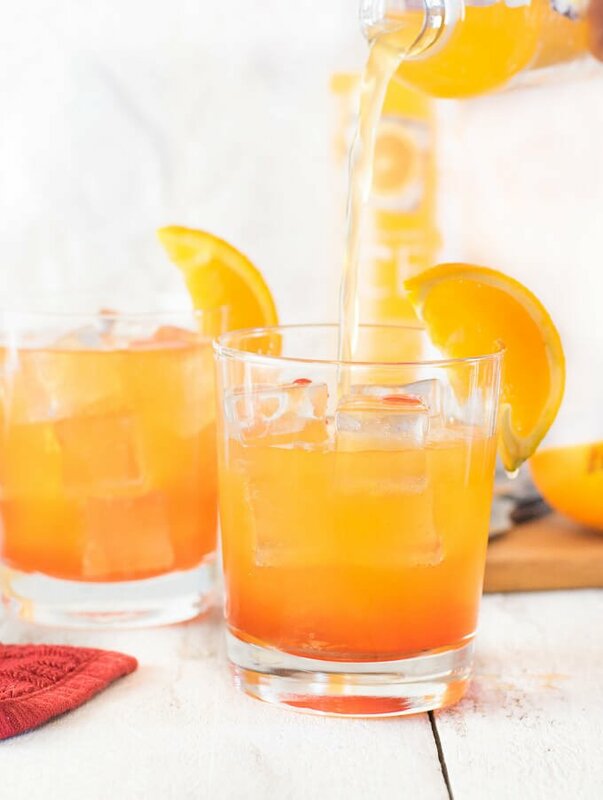 The secret to these Sparkling Sunrise cocktails is Sparkling Ice. At zero calories per bottle, they are the perfect substitution when you are looking to cut back on your cocktail’s calories! Plus, they are carbonated so they pack plenty of fizz in your glass! Like I said, these are perfect for unleashing your own creativity. If tequila isn’t your cup of tea, white rum would be a fantastic mixer with any of these flavors. 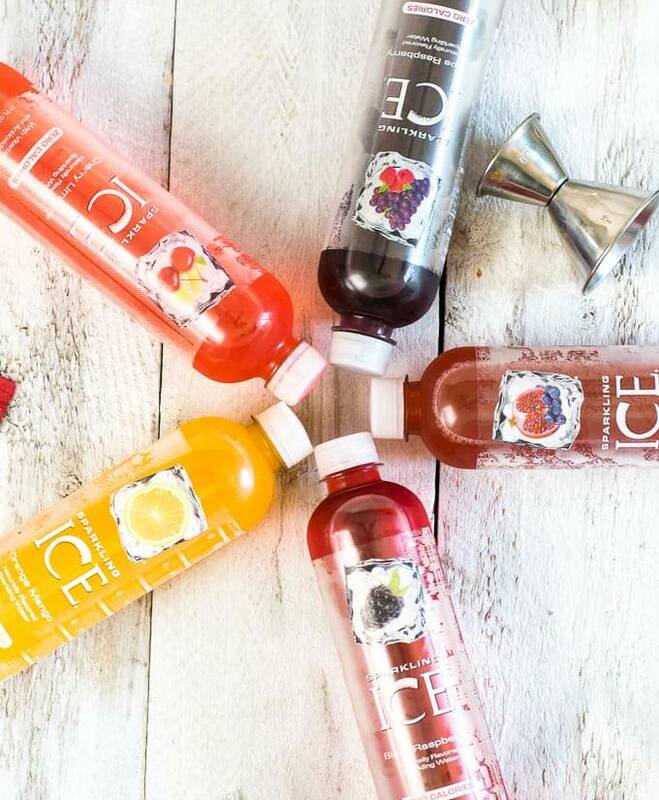 Did you know can purchase your favorite flavor of Sparkling Ice right from Amazon.com? Plus, they have a really cool dash button you need to check out! The dash button is a Wi-Fi connected device that reorders your favorite product with the press of a button. How cool is that? 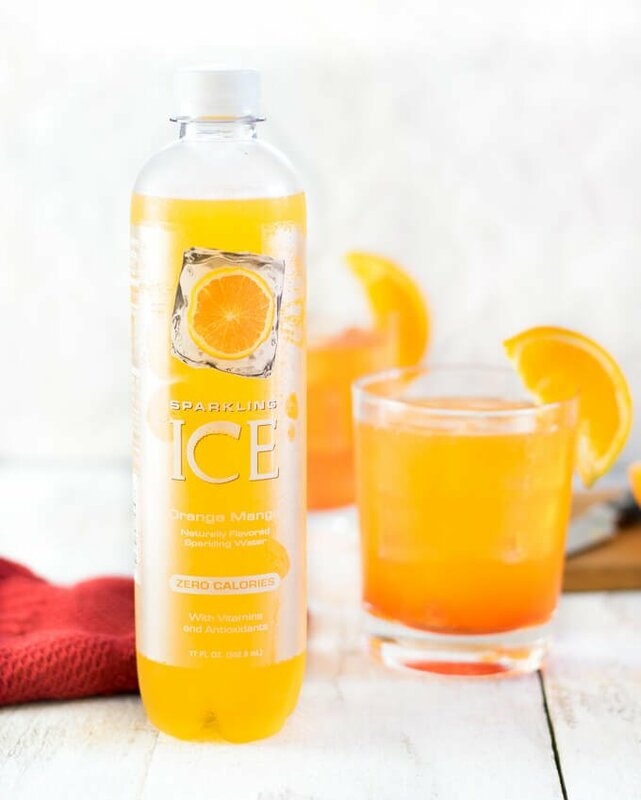 Head over to Amazon, grab your favorite flavor of Sparkling Ice and get creative with your favorite cocktail! There are so many flavors to choose from, you are only limited by your creativity! Fill cocktail glass with ice, then add tequila and Orange Mango Sparkling Ice. Slowly add Grenadine last. LOOKING FOR MORE COCKTAIL IDEAS? Check out my Amaretto Stone Sour recipe too! 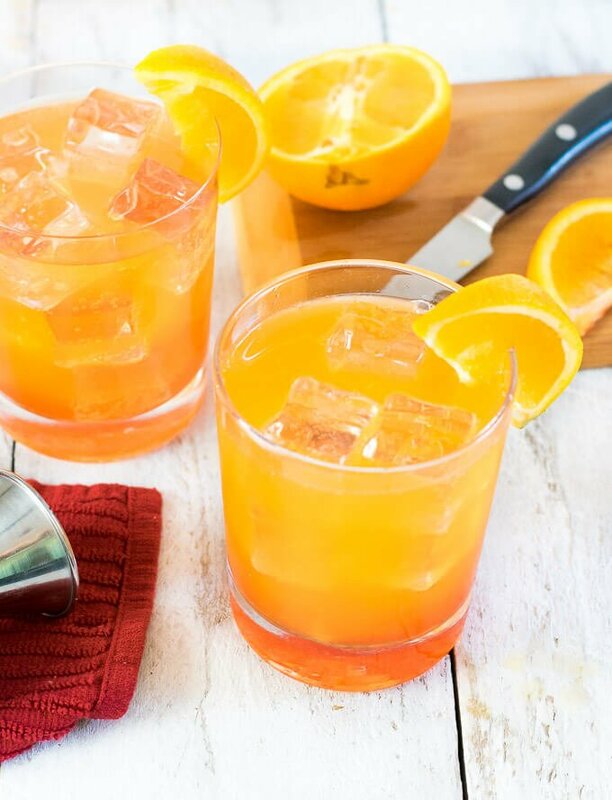 If you enjoyed reading my Sparkling Sunrise – Low Calorie Cocktail recipe then you should probably like me on Facebook and follow me on Pinterest too. That’s what I would do at least, because if you don’t get to know me but you still use my recipe it is kind of like taking candy from a stranger, and your mom taught you not to do that. Don’t disobey your mom, subscribe to Fox Valley Foodie today. I was looking for a low calorie alternative like this!